← The Weekly Standard Pimps Out Its Cover and Writers – Again! 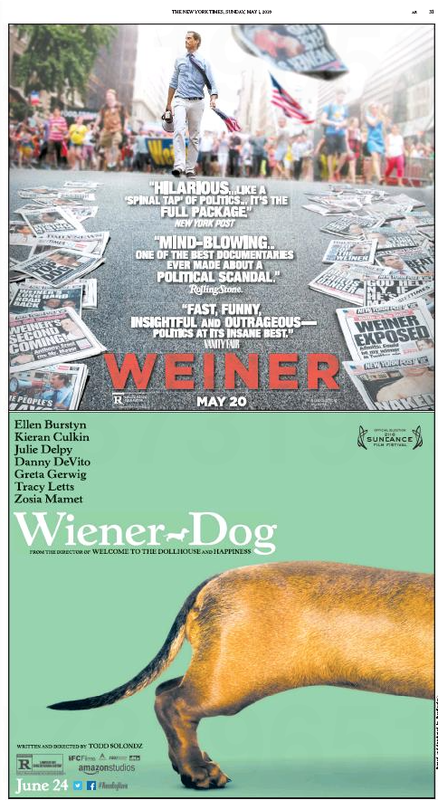 The hardchuckling staff has no idea who put these two ads together in yesterday’s New York Times Summer Movies section, but we thoroughly approve. 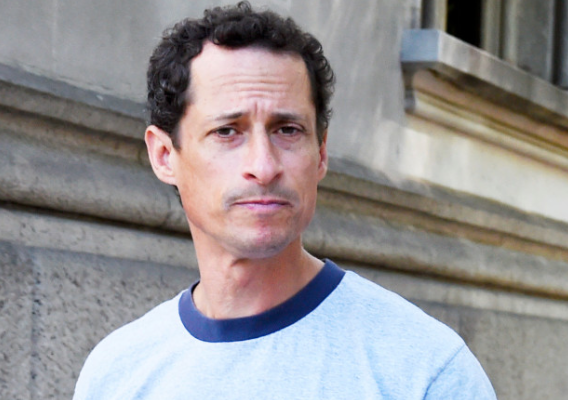 Just to be clear: Weiner is a documentary about “disgraced New York Congressman Anthony Weiner’s mayoral campaign and the landscape of today’s political landscape.” Whatever the hell that means. Wiener-Dog, on the other hand, “[c]hronicles the life of a dog as it travels around the country, spreading comfort and joy.” So no real spot for the soi-disant Carlos Danger there, right? Wait! Maybe there is a connection. The disgraced former congressman responded to Burger King’s announcement Wednesday that rapper Snoop Dogg would be their spokesperson for the forthcoming launch of grilled hot dogs at the venerable fast food joint. This entry was posted in Uncategorized and tagged Anthony Weiner, Burger King, Carlos Danger, Danny DeVito, Ellen Burstyn, New York Post, New York Times, Page Six, Snoop Dogg, Summer Movies, Tracy Letts, Weiner, Wiener Dog. Bookmark the permalink. Perhaps Huma might be a better pitch-person. You’ve got a real sense of Huma, Mudge.